To extend the shelf life and to protect themselves from harmful microorganisms nepaterizovanny milk should be boiled. However, to boil the milk – demanding procedure, since it may escape and burn. How to boil this product? For boiling, do not use enamel pot in her drink will surely burn. Better grab a glass, aluminum or stainless pot. Cookware makers offer special milkcooking – pots in which the milk just will not burn and will not escape. Also these unpleasant consequences will help to avoid a heavy-bottomed pan. Before you pour the milk into a saucepan, rinse it with very cold water. This will prevent sticking. There's another secret boiling milk without violent churning. Put the bottom of the pans turned upside down a small saucer. Pour into a saucepan the milk. When boiling a saucer will lightly tap on the bottom of the pan, with the foam on the surface will not be formed, and therefore the milk will not seethe and will not escape. Can not just depart for a minute from the plate. Boil the milk just to simmer. Constantly stir the drink boil and remove from its surface the foam. It is the main cause of spilled milk, because during heating of the beverage allows you to burst generated during boiling bubbles. However, the wrap should be removed from the surface only during the boil, but not after the milk has cooled, because it contains most of the nutrients. To milk for longer when boiling add sugar in the ratio of 1 teaspoon per litre of milk. 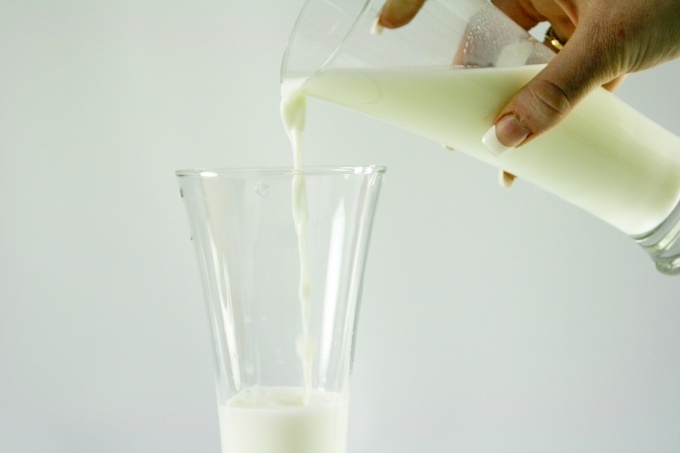 Store the boiled milk in the fridge in an airtight container, because it instantly absorbs odors. Not recommended to drink unboiled milk, if you do not know its origin. Apply to safe pasteurized and sterilized milk. You can buy special ceramic "hut", which (like a saucer) placed on the bottom of the pan and prevents the escaping milk.